Nails are very sharp, so please use the hooks carefully in order to avoid accidentally injury fingers. Please keep the hooks away from children, place the product in safe area after use. Please allow tiny measuring error due to manual measurement. There may be a little color difference due to the monitor, camera or other factors, please refer to the physical item. MULTIPURPOSE: These wonderful prints are a great way to add color to your bed, ceiling, wall and desk. 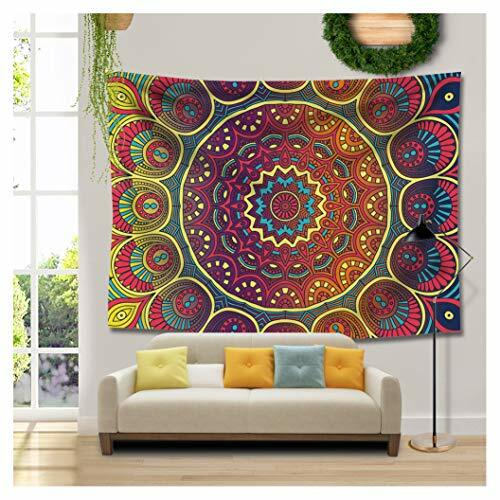 This tapestry can be used as bedspread, table cloth, picnic sheet,scarf,curtain and of course as a tapestry or a wall hanging, also perfect to take along to a picnic or to the beach.